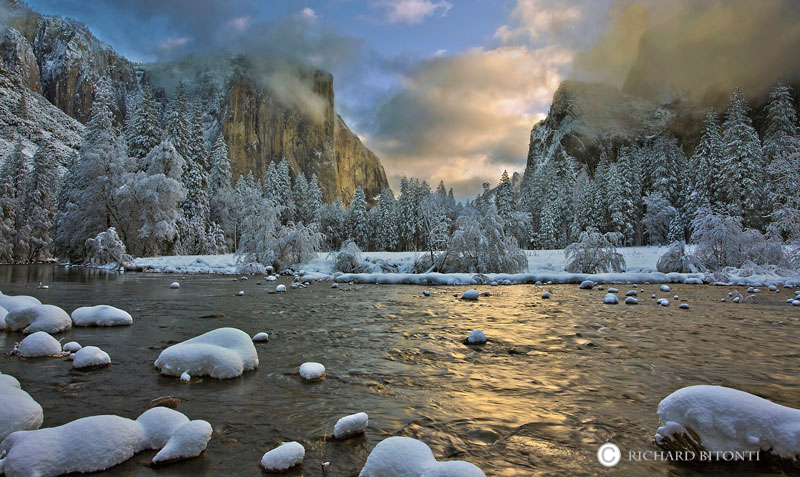 As a winter storm clears, a fresh dusting of snow blankets the valley floor in Yosemite National Park. The light, rising in the east and reflecting of the granite walls, reflects softly on the surface of the Merced River. Photo © copyright by Richard Bitonti.